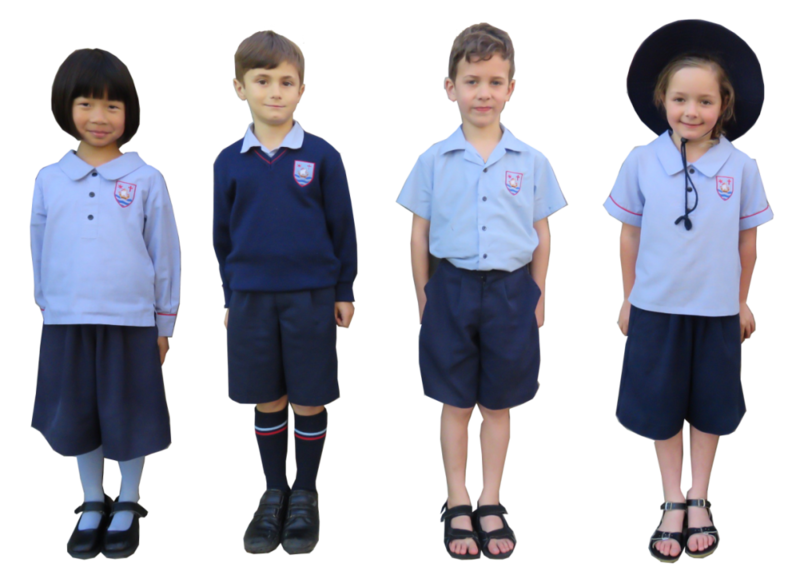 The school uniform shop is located behind the administration block, next to Room 1 and is open on Thursday’s from 8.15 – 8.45 am and 2.30 – 3.00pm. Please fill out the form to request specific uniform items. Payment enclosed must be cash or cheque. Eftpos is available at the office. Cheques to be made out to “Our Lady Star of the Sea School”. Your order will be delivered to your child’s class on Thursday afternoon’s. The uniform is to be worn with pride. It is expected that the correct uniform be worn at all times. Students are to change out of fitness gear into their uniforms before going home. Please ensure your child’s clothing is labelled. A sensible way to mark clothes is by adding their name and phone number. We suggest you name clothing not only on the tag, but also elsewhere inside the garment. Lost Property is kept adjacent to Room 1 in a blue cabinet. Navy Blue cricket hat with embroidered school logo. Navy Blue cricket hat with embroidered school logo. School Sports shorts – Navy taslon shorts with light blue trim on bottom edge. Colouring of hair is NOT acceptable. Hair is to be well groomed. Long hair is to be tied back not covering the eyes. School uniform headbands are to be worn only. Hair ribbons and scrunchies must be navy blue or pale blue. Elastic bands may be black or navy blue. Students may wear a wristwatch. Students with pierced ears are to wear a single silver/gold ear stud. maximum 1 in each ear. A taonga, cultural or religious item, e.g. cross, crucifix, may be worn and tucked inside the shirt/blouse neckline. No other jewellery is allowed. UV Sunscreens are encouraged during the summer. No make up is allowed. Nailpolish is not to be worn at anytime.